J.K. Rowling has sent a full set of Harry Potter books to a young girl in Aleppo, Syria who has been posting about her experiences online. 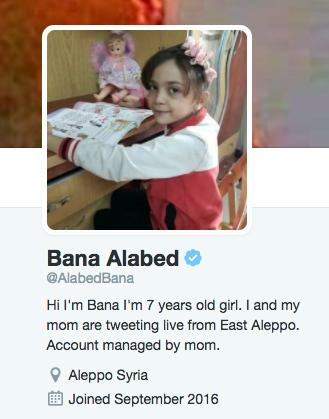 7 year old Bana Alabed began tweeting with her mother, sharing videos and pictures of her experiences during the ongoing war in her country. She's now verified with over 135K followers. Plus, she even managed to arrange for some e-books to be sent over to Bana so she can read the whole series! And she's sharing with her two brothers so they can all enjoy the series. Bana's mother Fatemah spoke to CNN and said that Bana was making her way through the books "little by little" but that it is often heartbreakingly difficult. "It's too early to choose a favorite character," Fatemah said. "Especially today, many bombs distracted her." At the time of writing, Bana's most recent tweets detail a night of heavy bombing, destroying their family home and leaving them close to death. Stay safe Bana. Our thoughts are with you and your family.